It seems that I have spent my entire time trying to make life more rational and that it was all wasted effort. Sir Alfred Jules Ayer (29 October 1910 – 27 June 1989), more often referred to as A. J. Ayer or Freddie Ayer, was a British humanist philosopher, who was one of the leading proponents of logical positivism. I suddenly stopped and looked out at the sea and thought, my God, how beautiful this is … for 26 years I had never really looked at it before. There is philosophy, which is about conceptual analysis — about the meaning of what we say — and there is all of this … all of life. Emphasizing his views on philosophy as something abstract and separate from normal life to Isaiah Berlin, in the early 1930s, as quoted in A.J. Ayer: A Life (1999) by Ben Rogers, p. 2. I am using the word "perceive". I am using it here in such a way that to say of an object that it is perceived does not entail saying that it exists in any sense at all. And this is a perfectly correct and familiar usage of the word. If there is thought to be a difficulty here, it is perhaps because there is also a correct and familiar usage of the word "perceive", in which to say of an object that it is perceived does carry the implication that it exists. The Foundations of Empirical Knowledge (1940). No moral system can rest solely on authority. Humanist Outlook (1968), p. 4. I see philosophy as a fairly abstract activity, as concerned mainly with the analysis of criticism and concepts, and of course most usefully of scientific concepts. As quoted in Profile of Sir Alfred Ayer (June 1971) by Euro-Television, quoted in A.J. Ayer: A Life (1999), p. 2. Philosophy in the Twentieth Century (1982) p. 133. As quoted in The Observer (17 August 1986). A statement he made soon after recovering from his near-death experience, as reported by Dr. Jeremy George, in "Did atheist philosopher see God when he 'died'?" by William Cash, in National Post (3 March 2001). 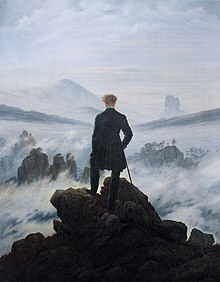 On his greater appreciation of the scenery of the world, after his near-death experience, as quoted in "Did atheist philosopher see God when he 'died'?" by William Cash, in National Post (3 March 2001). The criterion which we use to test the genuineness of apparent statements of fact is the criterion of verifiability. "I exist" does not follow from "there is a thought now." The truths of logic and mathematics are analytic propositions or tautologies. The traditional disputes of philosophers are, for the most part, as unwarranted as they are unfruitful. The surest way to end them is to establish beyond question what should be the purpose and method of a philosophical enquiry. And this is by no means so difficult a task as the history of philosophy would lead one to suppose. For if there are any questions which science leaves it to philosophy to answer, a straightforward process of elimination must lead to their discovery. The criterion which we use to test the genuineness of apparent statements of fact is the criterion of verifiability. We say that a sentence is factually significant to any given person, if, and only if, he knows how to verify the proposition which it purports to express — that is, if he knows what observations would lead him, under certain conditions, to accept the proposition as being true, or reject it as being false. To make our position clearer, we may formulate it in another way. Let us call a proposition which records an actual or possible observation an experiential proposition. Then we may say that it is the mark of a genuine factual proposition, not that it should be equivalent to an experiential proposition, or any finite number of experiential propositions, but simply that some experiential propositions can be deduced from it in conjunction with certain other premises without being deducible from those other premises alone. The problem of induction is, roughly speaking, the problem of finding a way to prove that certain empirical generalizations which are derived from past experience will hold good also in the future. There are only two ways of approaching this problem on the assumption that it is a genuine problem, and it is easy to see that neither of them can lead to its solution. The principles of logic and mathematics are true simply because we never allow them to be anything else. And the reason for this is that we cannot abandon them without contradicting ourselves, without sinning against the rules which govern the use of language, and so making our utterances self-stultifying. In other words, the truths of logic and mathematics are analytic propositions or tautologies. If now I…say "Stealing money is wrong," I produce a sentence which has no factual meaning — that is, expresses no proposition which can be either true or false. It is as if I had written "Stealing money!!" — where the shape and thickness of the exclamation marks show, by a suitable convention, that a special sort of moral disapproval is the feeling which is being expressed. The ground for taking ignorance to be restrictive of freedom is that it causes people to make choices which they would not have made if they had seen what the realization of their choices involved. To say that authority, whether secular or religious, supplies no ground for morality is not to deny the obvious fact that it supplies a sanction. While moral rules may be propounded by authority the fact that these were so propounded would not validate them. What I should have said is that my experiences have weakened, not my belief that there is no life after death, but my inflexible attitude towards that belief. Ayer’s central mistake was to think that his principle could distinguish between the meaningful and meaningless. This error has two parts. First, a better distinction would be between the objective and subjective. … The second part of the mistake is to make the distinction binary where it should be spectral. … Ayer found himself caught in a classic philosophical predicament. If an idea is too vague it will be dismissed as woolly and hand-waving. Too precise, however, and the logic-choppers will be out to unpick its contradictions and inconsistencies. As Aristotle’s immortal adage states, ‘It is the mark of the trained mind never to expect more precision in the treatment of any subject than the nature of that subject permits’ – nor less, we might add. The Goldilocks state of philosophy is to be precise enough to be saying something substantive but not so precise as to ride roughshod over the complexities and ambiguities of the real world. Friends were anxious to learn if I had had a near-death experience, and if so, what effect it had had on my longstanding public atheism. Had I had an epiphany? Was I going to follow in the footsteps of Ayer (who recovered his aplomb and insisted a few days later "what I should have said is that my experiences have weakened, not my belief that there is no life after death, but my inflexible attitude towards that belief"), or was my atheism still intact and unchanged? Yes, I did have an epiphany. I saw with greater clarity than ever before in my life that when I say "Thank goodness!" this is not merely a euphemism for "Thank God!" (We atheists don't believe that there is any God to thank.) I really do mean thank goodness! There is a lot of goodness in this world, and more goodness every day, and this fantastic human-made fabric of excellence is genuinely responsible for the fact that I am alive today. It is a worthy recipient of the gratitude I feel today, and I want to celebrate that fact here and now. Daniel Dennett, in "THANK GOODNESS!" (2 November 2006). He was the antithesis of the philosopher of mystery and intimation, and he was not tempted to technicality. He lived assertively and was vain and cocksure — at some cost to his philosophical reputation, since other philosophers were as human in their judgements on him. He was also honest, humane, and more or less on the Left in politics. He liked society, was a man of many women, came to be self-judging, and after some sadness died bravely, on 27 June 1989. Ted Honderich, in "A. J. Ayer's Philosophy and its Greatness", his introduction to A. J. Ayer : Writings on Philosophy (2004). He was undoubtedly one of the liveliest figures on the British philosophical scene in his time and, when he appeared on it, it was in need of enlivening. He was not a highly original thinker. His impact was due to the brilliance with which he arranged and expressed the ideas he had acquired from others. Perhaps his greatest intellectual virtue was his unremitting adherence to clarity and to rational argument. His work is without allusions, undeveloped suggestions, obscurity, and mannerism. Through his books and his teaching he sets a fine example of intellectual discipline. Anthony Quinton, in "Alfred Jules Ayer, 1910-1989" the obituary in the Proceedings of the British Academy, p. 282. In seeking to refound philosophy as an analytic discipline, Ayer was not just trying to separate philosophy from life but to liberate life from philosophy. As he saw it, philosophers had traditionally set out to establish themselves as authorities on the fundamental nature of the universe and the character of right and wrong. They posited immutable laws of nature, claimed to show that the world was one, or pretended to demonstrate the existence of supersensible realms of being; they invented gods, divine commands and human ends, and sought in that way to tell people how to live. To Ayer all this was not only unjustified — talk of supernatural reality, of beings existing outside space and time, or of the fundamental unity of things was literally senseless — but also reactionary. In narrowing the possibilities of experience, in placing limits on the findings of science and in dictating what was right and wrong, philosophy had become a cramping distorting discipline. The promise of life after death, the conception of earthly life as representing a punishment for inherited sin, the belief that pleasure was evil, had terribly oppressive effects. 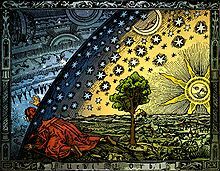 With metaphysics banished, science could develop unfettered, and people would become more experimental, more open to other points of view, more tolerant in thought and practice. They would, in particular, become less likely to engage in religious and ideological wars. Above all else, Ayer hoped, men and women would realise that this life was the only life they have, and would thus become more appreciative of what it had to offer. Which is where the football, the dancing and the love affairs come in. Ben Rogers, in the Preface to A.J. Ayer: A Life (1999), p. 3. Freddie became so much nicer after he died. He was not nearly so boastful. He took an interest in other people. Dee Wells, his widow, on his changed dispositions after his near-death experience in June 1988, as quoted in "Did atheist philosopher see God when he 'died'?" by William Cash, in National Post (3 March 2001). (Martin Gardner) writes about various kinds of cranks with the conscious superiority of the scientist, and in most cases one can share his sense of the victory of reason. But after half a dozen chapters this non-stop superiority begins to irritate; you begin to wonder about the standards that make him so certain he is always right. He asserts that the scientist, unlike the crank, does his best to remain open-minded. So how can he be so sure that no sane person has ever seen a flying saucer, or used a dowsing rod to locate water? And that all the people he disagrees with are unbalanced fanatics? A colleague of the positivist philosopher A. J. Ayer once remarked wryly "I wish I was as certain of anything as he seems to be about everything". Martin Gardner produces the same feeling. Colin Wilson, The Quest For Wilhelm Reich, pp. 2-3.